Healing Hands: Touching the Suffering through Medical Missions, by Peggy Johnson Knutti. Springfield, MO: Access Group, 2010. It seems to be a common assumption in some quarters that, about 100 years ago, there occurred in American Protestantism a division between those who truly believe and those who truly care. The former (evangelicals, fundamentalists, and Pentecostals) became the standard-bearers of orthodoxy, while the latter (mainline Protestants) sought to perfect society instead of saving souls, embracing a “Social Gospel” that set out to apply Christian ethics to social ills. If one listened only to contemporary politicized rhetoric (e.g., Glenn Beck’s condemnation of churches that embrace “social justice”), it might seem like concern for the eternal and the temporal are mutually exclusive. However, a careful examination of history demonstrates a more complex story. In her new book, Healing Hands: Touching the Suffering through Medical Missions, Peggy Johnson Knutti documents efforts within one Pentecostal denomination to share both compassion and the message of Christ. This history of HealthCare Ministries sheds light on why the Assemblies of God has come to view compassion as an essential part of its mission, and how medical missions are being utilizing to achieve this goal. The first chapter provides an overview of humanitarian work in Assemblies of God missions prior to the 1980s. Some of these stories are worth recounting here. Marie Stephany and Nettie Nichols began orphanages in China in the early 1920s. Anna Tomaseck opened a children’s home near the Nepali border in northern India, which led to the formation of the Pentecostal work in Nepal. Lillian Trasher’s famous orphanage in Assiout, Egypt, gave credibility to the Assemblies of God in that Muslim nation. Florence Steidel, a missionary nurse, arrived in Liberia in 1935 and committed herself to working with lepers — those who had been abandoned by the rest of society. Mark and Huldah Buntain opened the six-story, 120-bed AG Hospital and Research Center in Calcutta, India, in 1977. In 1963, El Salvador missionary John Bueno started Latin America ChildCare, which is now the largest private school system in the world and has served over seven hundred thousand students. Knutti’s account demonstrates that compassion has been a very visible aspect of Assemblies of God missions since the earliest years of the denomination. When the Assemblies of God, at its 2009 General Council, added compassion as its fourth reason for being (in addition to worship, evangelism, and discipleship), this was an affirmation of an existing tradition within the Fellowship of helping the suffering. The Assemblies of God did not sponsor a systematic attempt to support medical missions until 1983, when the Assemblies of God Foreign Missions Board approved the Medical Missions Program. The name HealthCare Ministries was adopted in 1984. Chapters two through six recount the story of the early years of HealthCare Ministries and its founder, Paul R. Williams. Knutti does not shy away from sharing the struggles of trying to establish a medical missions program in a denomination that often harbored suspicion of efforts that seemed to resemble the so-called Social Gospel movement in liberal mainline denominations. The balance of the book shares the testimonies of HealthCare Ministries directors and missionaries, including: Joe and Eloise Judah, JoAnnn Butrin, Peggy Johnson Knutti, Terry and Diana Dwelle, Bob and Twyla McGurty, Deborah Highfill, and many others. Healing Hands is a valuable contribution to the understanding of how the Assemblies of God has come to embrace medical missions as an important way to share the love and message of Christ around the world. Importantly, this volume will challenge the assumptions of two audiences: outsiders unfamiliar with Pentecostal social concern who incorrectly think that Pentecostals don’t care; and Pentecostals who may conflate compassion with a dilution of the church’s charge to share the gospel. Healing Hands is an engaging read and will be warmly welcomed by those who care about Assemblies of God medical missions, those who appreciate missionary stories, and those who wish to better understand the role of compassion in Pentecostal churches. Softcover, 184 pages, illustrated. $15.00 postpaid on U.S. orders. Order from HealthCare Ministries by phone: (417) 866-6311. Dalit Pentecostalism: Spirituality of the Empowered Poor, by V. V. Thomas. Bangalore, India: Asian Trading Corporation, 2008. Dr. V. V. Thomas is one of the leading historians of Indian Pentecostalism. His book, Dalit Pentecostalism: Spirituality of the Empowered Poor, is an excellent study, which in a creative manner interprets the history of Pentecostalism in Kerala from the point of view of the Dalits experiences and perceptions. The study is not only based on valuable new historical material with regard to the issue of Pentecostalism in Kerala but also interrogates it with a subaltern perspective. In a focused way the material is systematically approached and presented which shows original thinking. The author’s critical ability is evident throughout the book in that he has critically used several primary sources available both in Malayalam and English. Bot analysis and narration are combined in a balanced way while looking at the historical developments without losing sight of the socio-cultural contexts within which the Dalits experienced Pentecostalism in Kerala. The author’s arguments are strong in many ways basically because of his being a personal witness to the problems, in addition to the overall knowledge of people’s history and the Church in Kerala that he possesses. The author rightly argues with substantial data that Dalit Christians in Kerala had a prominent role in shaping the history of Pentecostalism in Kerala although it has been ignored hitherto. The author’s historiographical evaluations in the book is very valuable as it exposes the dominant community’s views and perceptions with regard to Dalits’ place in the history of Christianity and especially Pentecostalism in Kerala. The sustained effort of the author to keep methodological approaches has helped the author to conclude strongly that there is an entity within the larger Pentecostalism in Kerala which may be described as Dalit Pentecostalism. Although the author had to face the problem of a lack of sources, he has overcome that difficulty by re-reading the existing sources and also by taking into account the oral sources seriously. Orality, which is a strength of Dalit people’s way of keeping memory has helped the author to a great extent. This book will no doubt stand as another valuable source in the library of Dalit history in India and especially in Kerala. 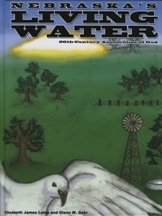 Nebraska’s Living Water: 20th-Century Assemblies of God, compiled and written by Elisabeth James Lemp and Glenn W. Gohr. Grand Island, NE: Nebraska District Council of the Assemblies of God, 2010. This book roughly covers the history of the Pentecostal movement in Nebraska in the 20th century. It chronicles holiness and divine healing influences in Nebraska beginning in the 1890s and up through the founding of the Nebraska District of the Assemblies of God. It also covers the first 80 years of the moving of the Holy Spirit in the Nebraska District (1919-1999). The title of the book compares Nebraska’s vibrant spiritual heritage with the history of how the Nebraska landscape began to flourish. As pioneers moved into the Nebraska Territory in the 1800s, they found it to be hundreds of miles of dry prairie, which came to be known as the “Great American Desert.” The climate was arid, and raising a crop was difficult. But this all changed one day when it was discovered that Nebraska was situated directly over the Ogallala Aquifer, which is the largest underground fresh water ocean in the world. All that was needed was a way to access this water to bring life to the landscape and its inhabitants. Soon windmills were built across the state, which were able to pump “life-giving water” to a parched and dry land. Just as Nebraska experienced a physical drought in its earliest history, there was also a “spiritual drought.” But then came the “living water” of the Holy Spirit to touch many of the inhabitants of the state. Men and women began to experience the baptism of the Holy Spirit as the Pentecostal message spread from Charles Parham’s Bible school in Topeka, Kansas and the Azusa Street revival in Los Angeles, as well as other places. Many may not realize that Agnes Ozman, who was from Nebraska, was the first person to speak in tongues at Charles Parham’s Bible school on January 1, 1901. Other important Pentecostal leaders such as B. H. Irwin, John Alexander Dowie, A. A. Boddy of England, and Maria Woodworth-Etter each had early connections with the state of Nebraska. Elisabeth James Lemp began this project in 1995, shortly after the funeral of her mother, Marie James, when it was noted that “Marie James was the last of that era of Pentecostal pioneers in Nebraska.” Elisabeth began contacting churches and ministers and families of ministers to try to obtain personal narratives, testimonies, and history of the Nebraska District and its people. Others including Joe Masten, Glenn Gohr, and Faith and Dennis Tyson, each helped with the project, with Glenn tying up all the loose ends to wrap up this 15-year project. The personal narratives and church histories were augmented with printed reports and testimonies found in periodicals such as the Pentecostal Evangel, district publications, early newspaper accounts, and other writings. The book contains information on early revivals, memories from Nebraska church camps, testimonies from a number of ministers and missionaries across the state, and sketches of nearly 200 Assemblies of God churches and missions in Nebraska. Bibliographic references are included as well as photographs of key people, churches, and events. Anyone with a Nebraska connection will want to obtain a copy of this inspiring book. Memories of a Missionary’s Daughter, by Annette Murphy Barton. Oklahoma City, OK : the author, 2009. Annette Murphy Barton’s book, Memories of a Missionary’s Daughter, is a spell-binding account of a missionary family to India and Cuba. Barton’s mother, Dessie M. Knight, first sailed for India in 1929 as an Assemblies of God missionary after completing her education at Central Bible Institute (Springfield, Missouri). She married fellow missionary Hubert E. Murphy in 1935 while on furlough, and they went back to India under the auspices of his denomination, the Pentecostal Church of God. H. E. Murphy died in 1975 and Dessie Murphy died in 1981. Barton’s book details a fascinating record of significant events aboard both freight-hauling ships and of magnificent floating palaces, all necessary for world travel in order to arrive at required destinations. The book records in detail, both the extreme highs and lows of life as missionaries from the 1930s to the 1950s. The volume is well written and includes excellent pictorial illustrations.